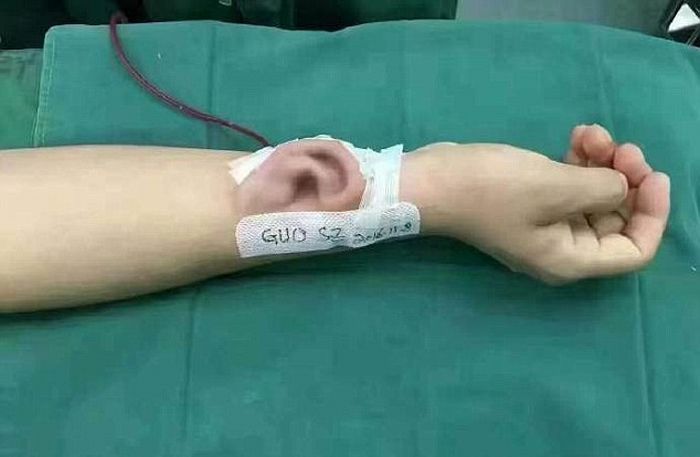 A plastic surgeon in China has successfully grown an ear on a man's arm. 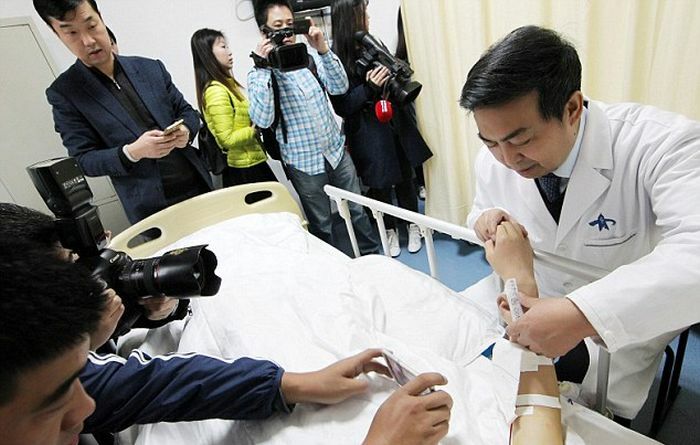 The patient lost his right ear and Doctor Guo Shuzhong from a hospital in Xi’an, China’s Shaanxi Province, used cartilage from the patient's ribs to create a new one. The ear is expected to be transplanted to the man's head in four months.